The realm of Out of Home media is often downplayed and simplified to billboards, yet the industry has so much more to offer. 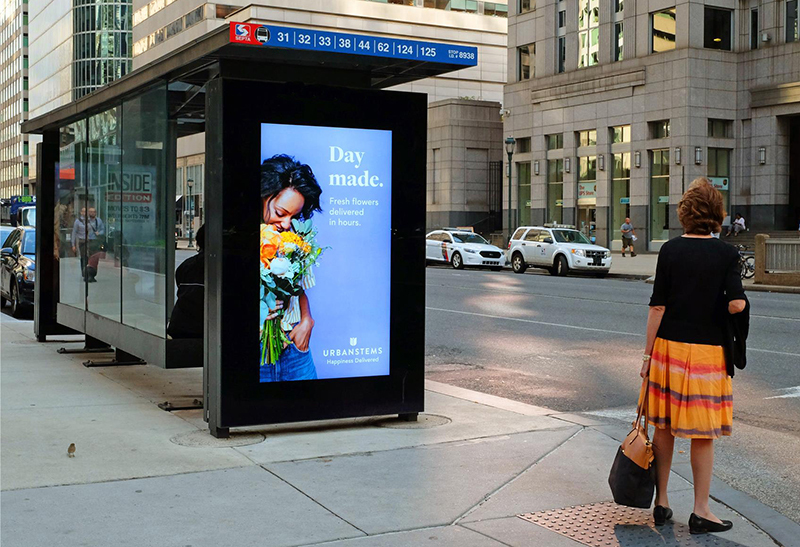 Advertisers who are new to OOH often don’t realize that there are many factors to consider when building a campaign, such as viable media formats, audience targeting, location—the list goes on. Throughout my career, which began on the vendor side and is continued on the agency side, I’ve worked with many different teams and personality-types on various campaigns. 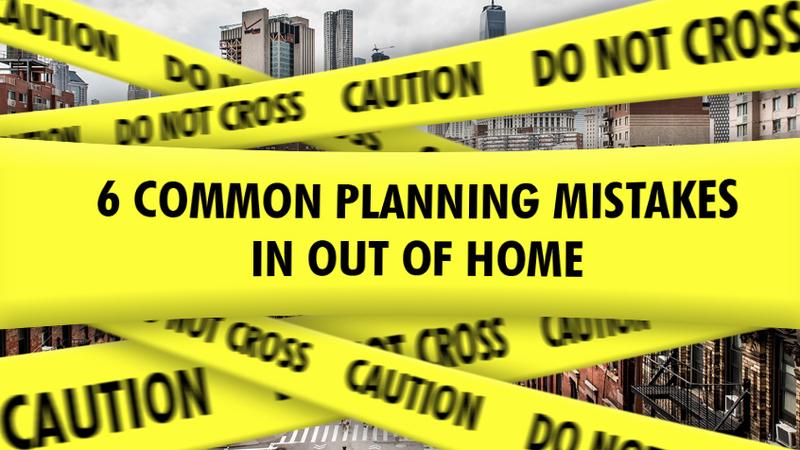 Over the years, I have identified recurring obstacles and challenges which often surface during the planning stage. To gain a better understanding of OOH strategies that will increase effectiveness, avoid these common mistakes! Measuring performance against a clearly defined objective is a vital component to a successful advertising plan. How do you determine whether or not a teeth-whitening product is working? I think it’d be quite simple. If your teeth are gradually whitening, then you’re doing something right. If not, you need to revisit your approach and find a new teeth-whitening agent. This same principle applies to running an Out of Home campaign. Keep in mind, an OOH campaign’s success cannot be realized or tracked if the goals have not been outlined. If the objectives of a campaign are to create a regional presence and increase brand awareness, then there must be a set of incremental goals to achieve them. For example, a campaign comprised of billboards within a 10-mile radius, with a message driving consumers to a website, may seem like an effective approach. But how do you measure its success? This requires defined goal percentage increases in page traffic and benchmarks against prior marketing campaigns. With new technological developments in the field, measurement of OOH is becoming much more exact and readily available. Measuring progress towards a defined objective will illustrate the results of your marketing efforts, and take the guessing out of campaign management. A major part of the planning process is to identify a target audience. The first step is to build an ideal target consumer profile: someone who is likely to either need or be drawn to a brand. Every product or service offering is unique; therefore, every target audience is unique, too. A brand may appeal to a large mass of people or it may only be relevant to a small percentage of a regional population. To make this determination, you must be specific. The consumer profile should have multiple tiers and layers to it. Understanding characteristics and behaviors about the consumer will hone in on where and how to reach that consumer throughout the course of a day. A profile defined as “males, age 25-34” is too vague and will not help maximize impressions and campaign spend. “Males, age 25-34, single, renting an apartment, likes basketball, reads comics, and works out in the early morning” is a much more specific target consumer profile. Using behavioral data tools will strategically place OOH displays along the consumer’s daily journey, minimizing wasted impressions. Don’t spend a massive budget on blanketing a market when focused efforts will maximize budget dollars and better target an audience! A consumer may be aware of a brand but not be at a point to take the purchasing step. Imagine that a company who installs new windows runs a summer Out of Home campaign. A potential consumer may ignore the ad because their current windows are just fine for the Summer and Fall. Then, Winter hits and they’re paying big bucks to keep their house warm due to drafty windows. They’ve forgotten about the ads by now and have contacted a competitor. This is a missed opportunity simply due to lack of consideration for the proper buying period of the product. Duration of a campaign comes into play, as well. The recommended run-length of an OOH campaign is not less than 8-12 weeks. This ensures the message is received, ingrained, and recognized. It’s fairly often that a client comes to me with the thought of running a four-week test flight with OOH and, if they see results, will extend the flight. It’s not likely that they’ll see the desired impact and results from a four-week campaign. Branding takes time and brands need to continuously reinforce their message. This will help maintain their status as an industry player and build familiarity among consumers. Consumers buy from brands they’re comfortable with and those they trust. A longer campaign provides more opportunity for consistent messaging and longer period for the consumer to act. The impact Out of Home has when built into a marketing campaign can be significant if done with a planned approach. It’s easy to default to the billboard as the only or primary placement, but ignoring alternate approaches and formats will limit the impact of your campaign. This tunnel vision hinders results and prevents a campaign from living up to expectations and its full potential. There are so many more OOH formats available which can target your audience and create multiple touch points throughout the course of their day. Clearly defining your audience will inform which OOH formats will be most effective. Based on a constructed target audience or consumer profile, behavioral data tools allow us to determine where the target audience is and how to best reach them. Visualize a consumer’s commute to and from work. They may drive in, take public transit, or walk a few city blocks—how many ad displays do they pass along the way? The bus shelter they walk by; OOH. The window ads in the convenience store where they grabbed a coffee; OOH. The sleeve on that same cup of coffee; OOH. The messages on the TV screen at their gym; OOH. A study by the OAAA shows that 83% of Americans say they see 5 or more OOH ads each day, so a consumer can be reach many ways. As opposed to blindly making placements based on dated marketing methods, these customized audience-targeting tactics will maximize your budget dollars. Out of Home media is not a silver bullet. It can deliver widespread brand awareness and a massive amount of impressions, while likely keeping the campaign’s CPM low; however, I would never advocate allocating 100% of a campaign’s marketing dollars to OOH. It works best when combined with other marketing channels so include traditional and non-traditional formats when building a plan. When working in cooperation, different formats amplify the impact of each other. According to OAAA, out of home disproportionately increases the reach of other media, including search by 40% and print by 14%. An integrated campaign mix creates multiple touch points throughout a target audience’s day. Picture a horizontal timeline, representative of Mrs. Smith’s typical Wednesday. She works out in the early morning, grabs a coffee on her way to the office, meets a client for lunch, grabs a quick dinner after work, runs her son to baseball practice in the early evening, and finally takes some time to herself late at night to catch up on the news by scrolling through an app on her smartphone. The goal is to reinforce a brand’s message via multiple touch points; to use a multimedia approach to increase familiarity and ultimately drive the consumer to take action. To see an integrated marketing mix “in action”, view our Out of Home and the Casual Consumer infographic. Key Performance Indicators are a marketing manager’s best friend. After identifying the goals of a campaign, direction, and placements, it’s important to measure the results and impact generated. Based on the findings from this reporting, it’s important to reevaluate and refine a campaign. Advertisers must understand how a campaign performed and if goals were met in advance of a renewal or new plan. If the desired impact was not achieved, then a different approach may be necessary. Was the campaign appropriately targeted? Was the messaging clear and direct? Could the timing have been different? Review the campaign’s performance and unveil potential changes or fixes to better execute the next one. If your tactics were not as effective as you would have liked the first time around, change it up! Ignoring performance data and KPIs is a sure way to handicap the effectiveness of future campaigns. Review of performance data is key to refining campaign strategy and will lead to a better understanding of your consumer base and encourage buying action. Campaign planning should never be a guessing game; decisions and strategy are guided by historical performance data and market insights. To maximize the use of budget dollars and increase the effectiveness of an Out of Home campaign, a marketing team must have the ability to realign campaign direction with target objectives. 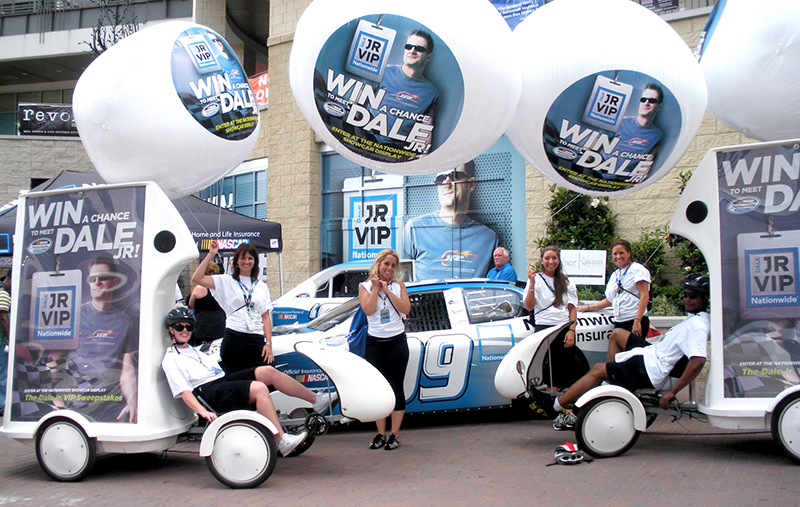 Out of Home campaigns are effective only if thoroughly planned and executed. As an advertiser who is new to OOH or launching a new campaign, it’s important to know and understand these common mistakes. If they aren’t avoided, it’s likely a campaign will under-deliver and cause an advertiser to doubt the efficacy and strength OOH media can provide for a brand. If you’re looking to launch a new OOH campaign and want to make sure you do it right the first time, get in touch with me and our EMC Outdoor team and we’ll steer you right! I started at an OOH vendor and now, at EMC, develop strategic plans to meet client objectives. I enjoy spending time with my dogs and fiancé, challenging myself with new workouts, and watching war movies and documentaries.